At NutriSource® we believe every dog should enjoy a treat now and then. Our drool worthy biscuits are a crunchy reward for any occasion. 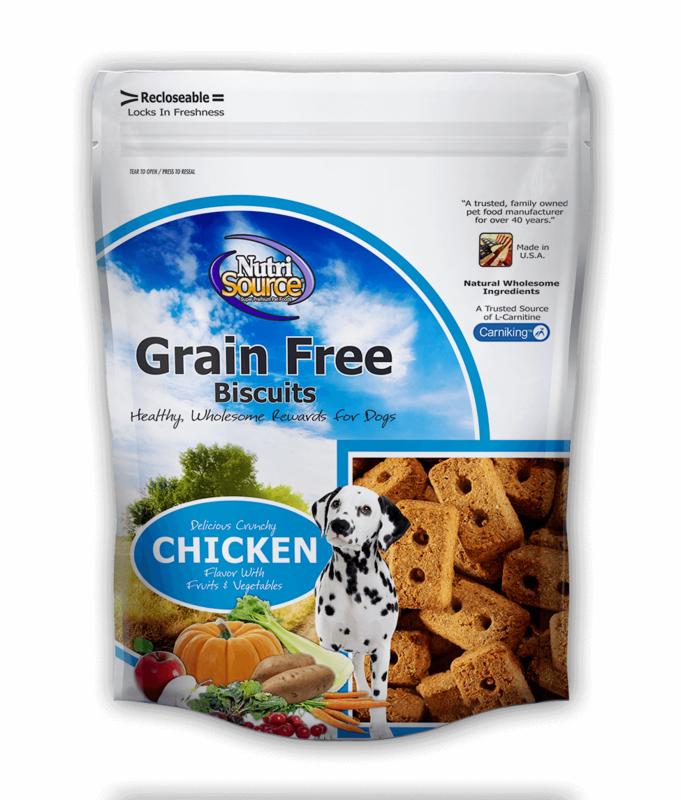 Our fresh baked biscuits include a wide variety of fruits and vegtables as well as Carni-King, a concentrated source of bioavailable L-Carnitine that helps build a lean body by helping your happy pet burn fat. With NutriSource® you can treat guilt free - the best way to build a happy healthy family! Over 75 pcs -Made with Fresh locally sourced Humane certified Chicken - That's a lot of happiness in one package. Training Bites - Sit, Rollover, Drool - Not necessarily in that order!